Provide many detailed pictures so you know exactly what you are buying. I will do what I can to accommodate any reasonable request about a issue. Up for sale is a used Civic Si glove box. This part was removed off a 2015 Honda Civic Si Sedan Manual Transmission with unknown mileage. HONDA CIVIC (SEE ALSO DELSOL & CRX) 12-15 Front; (Hybrid), CNG & Gas; warm gray. Model: HONDA CIVIC. Part Grade Abbreviations. cc = Credit Card size units. C = Greater than 200k miles. B = Greater than 60k miles and less than or equal to 200k miles but greater than 15k miles per year. Fits Civic 2012 - 2015 year model. If you are not sure if this part fits your vehicle, send us your VIN# and we will check for you. Condition: New, perfect condition. Has been opened for pictures. 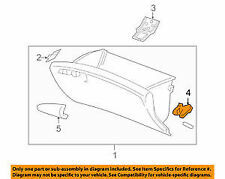 Notes 2015 HONDA CIVIC (4DR) GLOVE BOX: GREY. Model CIVIC. No Grade - A part that has not yet been graded. C Grade - The third level quality part. B Grade - The second level quality part. It is of average miles and normal condition for its age. 90 Day Parts Warranty Included! LIFT GATE SERVICE IS ALSO EXTRA. SEE PHOTO FOR DETAILS. IT IS YOUR RESPONSIBILITY TO KNOW, OR CALL YOUR LOCAL DEALER! Honda Civic. That may increase or decrease, due to bus schedules and storage capacity, without any notification. Local pickup is available for any item that we have listed. Door Locks/Latches. 2012-2015 Civic - sedan. Air Cleaner Boxes. Windshield Wipers & Parts. Windshield Washer Tanks. Window Switches. Window Regulators & Motors. Wheels & Spare Tires. Include : One Pair Car Seat Gap Organizer. Car pouch, effective use of the car seat side gap space accommodating various types of commonly small objects, such as: parking card, cell phone, data cable, CD, keys, coins coins, bills and so on. 2x Car Seat Seam Gap Filler Catcher Armrest Cup Holder Leather Box Universal Blk. Color: Black. Suitable and compatible for most automotive. Easy to remove for quick cleaning. Made of premium synthetic leather which is durable and is impact resistant. - Sturdier than any others with a premium thicker material. Color: Grey. Suitable and compatible for most automotive. Easy to remove for quick cleaning. Made of premium synthetic leather which is durable and is impact resistant. - Sturdier than any others with a premium thicker material. (1) As this armrest is the General one ,that must need use the Screw to let the armrest fit in the original car's middle place. Material: PU leather. The Car Light. Boat Light. NEW WITHOUT ORIGINAL BOX. 2x Car Seat Back Bag Organizer Storage Multi-Pocket Hanging Beverage Ice Holder. Color: Tan. Suitable and compatible for most automotive. Easy to remove for quick cleaning. Made of premium synthetic leather which is durable and is impact resistant. - Sturdier than any others with a premium thicker material. (1) as this armrest is the General one ,that must need use the Screw to let the armrest fit in the original car's middle place. Color: armrest box black red armrest pad black. 1PC armrest box 1PC armrest pad. (Color: armrest box black red armrest pad black. 1) as this armrest is the General one ,that must need use the Screw to let the armrest fit in the original car's middle place. 1PC armrest box 1PC armrest pad. (1) As this armrest is the General one ,that must need use the Screw to let the armrest fit in the original car's middle place. 100% genuine products! We will try our best to reduce the risk of the custom duties. Color: Brown. Suitable and compatible for most automotive. Easy to remove for quick cleaning. Made of premium synthetic leather which is durable and is impact resistant. - Sturdier than any others with a premium thicker material. Fit For Honda Civic 2012-2015. We would be responsible for it and resolve it for you as soon as posisble when we receive. We would be responsible for it. model series. 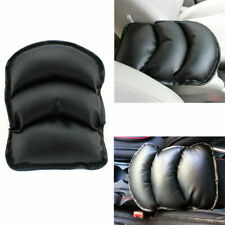 Car Pu Leather Armrest Pad Cover Auto Center Console Cushion Universal Black Pad. (Color: armrest box black red armrest pad black. 1PC armrest box 1PC armrest pad. 1) as this armrest is the General one ,that must need use the Screw to let the armrest fit in the original car's middle place. Universal Car Armrest Pad PU Leather Auto Center Console Cushion Gray Cover Mat. Pu Leather Car Center Console Armrest Soft Pad Cover Black Universal Accessories. Microfiber PU Leather Car Vehicle Seat Crevice Gap Storage Box With 4USB Armrest Pedal Kit Pocket Organizer Phone Key Card Holder. The Elbow Support made of PU leather and Sponge Silica Gel, better comfort and better handle. Car Roll Plastic Pocket Sliding Dash Phone Pen Paper Money Coins Keys Case Storage Box Holder Container. Perfect and stylish Car Storage Box for you must have in your car. Take off the double sided tape from the storage back. (1) As this armrest is the General one ,that must need use the Screw to let the armrest fit in the original car's middle place. great auto motor. Auto Parts. Color:Upgrade style gray. Material: PU leather. Universal Car Pu Leather Armrest Pad Auto Center Console Cushion Gray Accessory. Pu Leather Car Center Console Box Armrest Soft Pad Cover Cushion Black Universal.